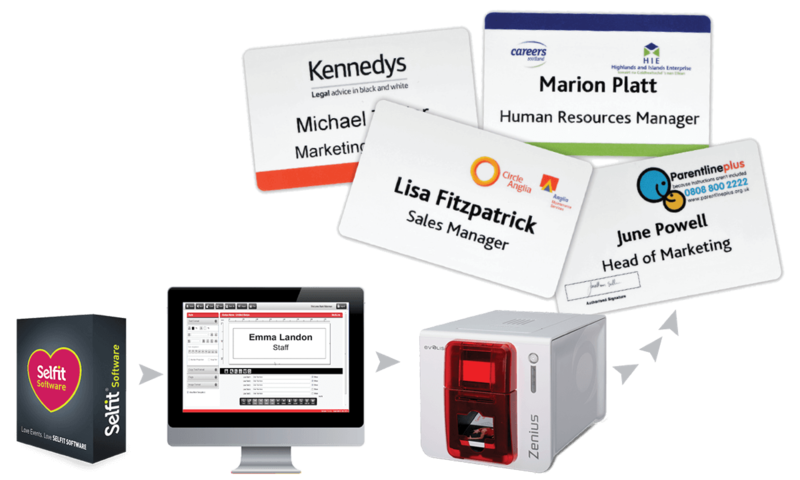 Using our Instacard Pre-printed Starter Kit you can customise PVC event or ID cards on-site in seconds. Ideal for marketing incentives, events and conferences or for managing employee and visitor ID. Our event and ID cards are fully customisable, add your branding, message or staff photo. Your logo could be pre-printed in pantone matched colours. Allows overprinting of text i.e. name/job title etc. Perfect for when you need all the cards to have the same logo!